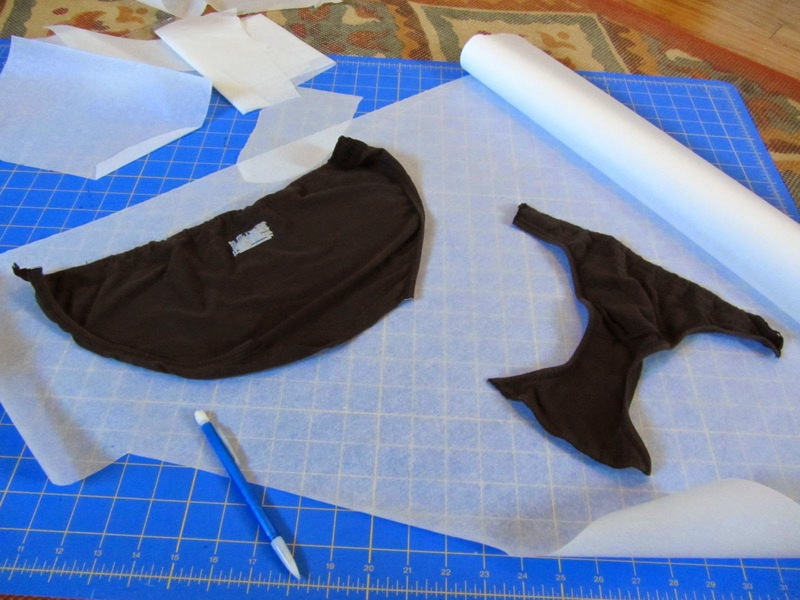 As I’ve been rather lucky when it comes to winning things around the sewing blog-o-sphere, I wanted to share some of the things I learned in the process of sewing my first swim suit. 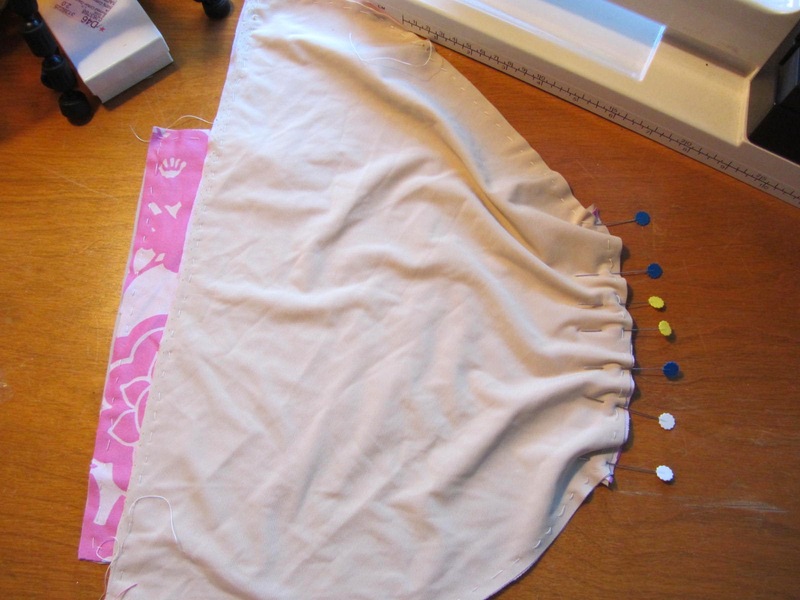 Hopefully some of these tips will help others struggling through their first adventures sewing bathing suits or other spandex-y things. I have a lot of stuff to say and pictures to share, so I’m breaking this up into two posts. 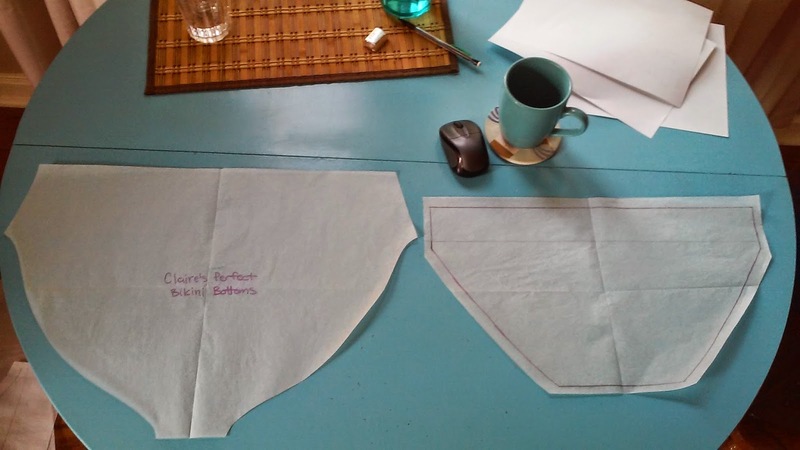 This post is mostly about drafting, and I’ll put sewing tips in my next post. 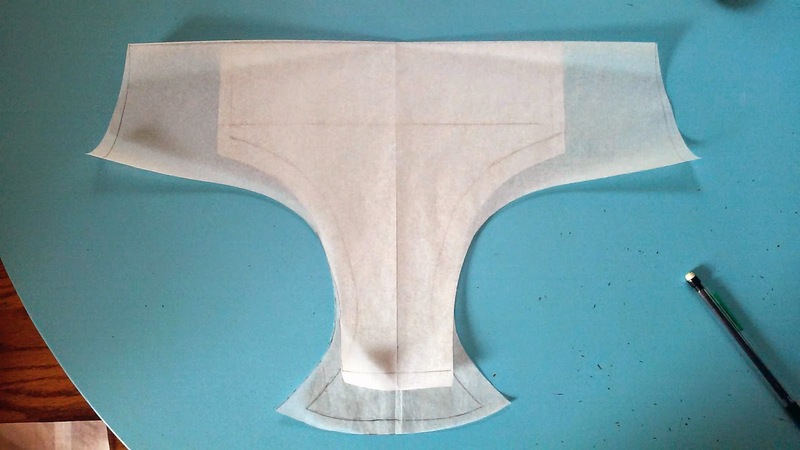 In trying to make my swimsuit, I first cut apart an old pair of underwear, thinking that this would give me an excellent starting point for drafting the bottoms. Unfortunately, I wound up with bottoms that were an excellent fit for my size 0 roommate, instead of for size 10 me. On the bright side, I now have a pattern that is perfect for my roommate, and I made her a pair of bottoms too! That’s a lot more paper/fabric in the final pattern. It took many different alterations. The most important one for bum coverage was dropping the leg hole seams and rounding them outward. The side seams were vertical lines in the original pattern, but this squeezed the crap out of the tops of my thighs, so I angle those out. 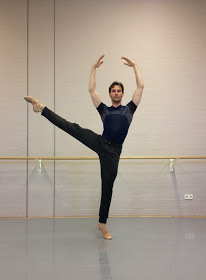 My hips don’t go straight up and down, so neither should my side seams. I also changed where the crotch seam is placed. In my original pattern, it was more toward the back. The extra length you see on the crotch on my finished pattern above brings the crotch seam more toward the front. You can see the crotch part got shortened on my final version of the front piece, so even though I lengthened the back crotch, the overall crotch length stayed them same. Why did I move the seam forward? 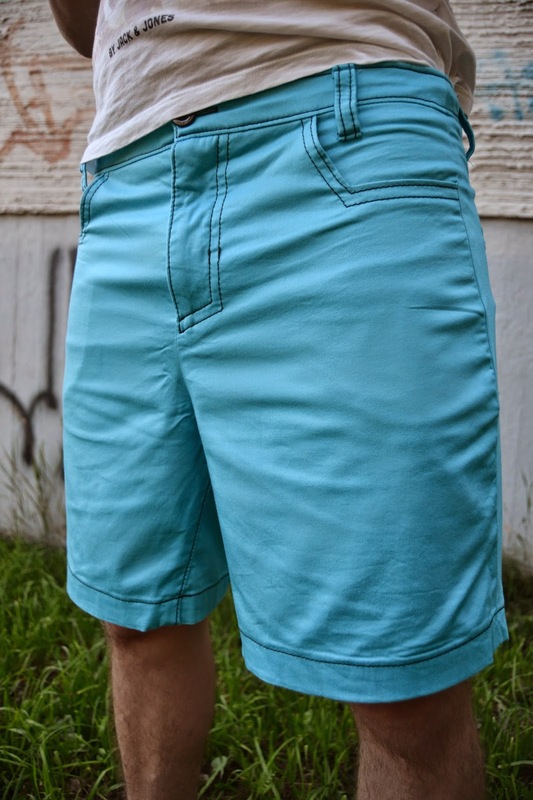 Because you see how the original front pattern piece has a curved crotch seam? The back pattern piece had a straight seam, and joining the two was awkward and required many pins. Besides changing where the “you know where” seam was located, I also added a whole lot more width at the sides. Like I said, the originals were sized for someone much smaller than I. So this is took them from a size 0 hips to a size 10 or larger hips. 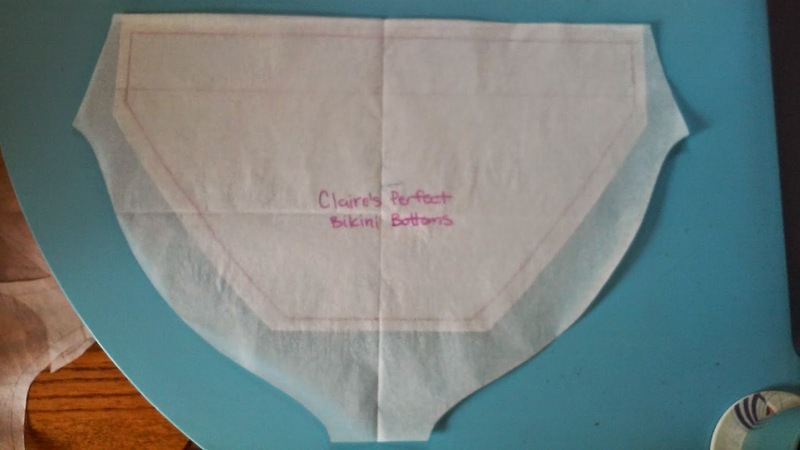 Also, the original pattern had the side seams more toward the front than at the actual sides. That makes sense for underwear, I think. 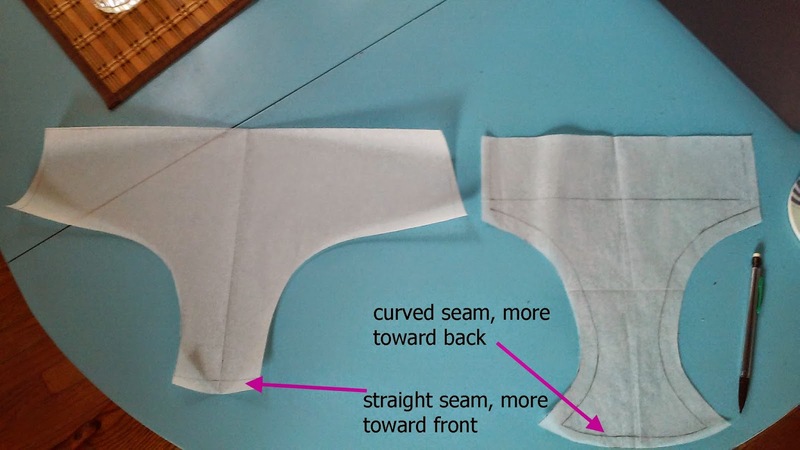 If the seams are toward the front, they are less likely to show through your pants or skirt than if they were exactly at your sides. So the extra width I added moved the seam to my actual sides, which is fine for swimwear. I also angled the side seams out at the bottom (because hips). Wow. That was a lot of info for a “tip.” But I hope it helps for other people trying to alter their swimsuits to cover their bums. Previous Sporty Summer Sewalong – Claire Befriends Swimwear!